. . . Duncan and Poltergeist personally interviewed six or seven longtime MINI owners to find out just what features they missed from the R50, R52, and R53 MINIs. “We found out the top four interior features people missed were the center speedo, the center window toggle switches, the old mechanical key to manually start the car, and—the biggest surprise of all—the old digital clock up in the headliner near the rearview mirror. The new accessories replace these discontinued items. 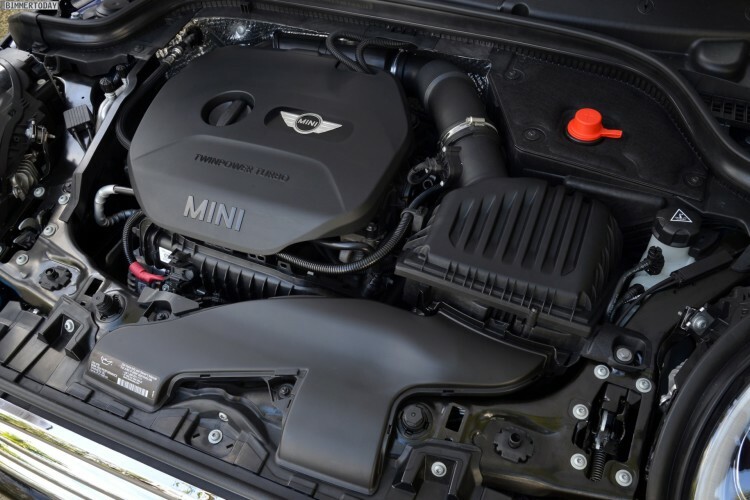 BMW of North America LLC has agreed to settle a class action lawsuit over allegations that certain Mini Cooper models contain an engine defect. The BMW class action lawsuit filed by Joshua Skeen and Laurie Freeman alleges that Mini Cooper S Hardtops, Clubmans and Convertibles between the model years 2007 to 2010 have a timing chain problem that costs vehicle owners thousands of dollars to repair. If approved, the BMW class action settlement will reimburse Class Members 100 percent of the cost of repairing or replacing the timing chain tensioner at an authorized MINI dealer. In addition, the BMW settlement would extend the four year or 50,000 mile warranty to seven years or 100,000 miles. . . .
J.D. 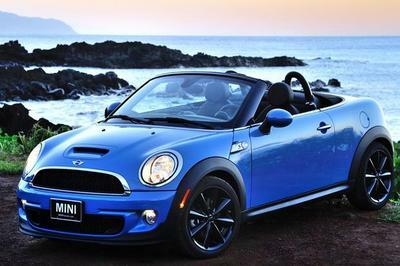 Power summarizes everything you want to know about the 2016 MINI Cooper Convertible. AC Schnitzer announced today two new powerkits for the latest version of the Mini Cooper S and of the high-performance Mini Cooper JCW. AC Schnitzer's new powerkit for the Mini Cooper JCW and S includes a re-programmed ECU and bespoke sport exhaust system. The new exhaust includes a back box and two "Sport" or "Sport Black" tailpipes. The new exhaust also includes a "Track Mode" flap system with remote control. 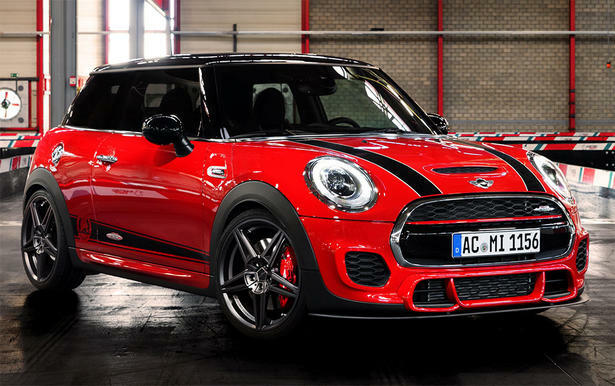 AC Schnitzer's power package increases the output of the Mini Cooper S from 141 kW/192 hp to 173 kW/235 hp and of the Mini Cooper JCW from 170 kW/231 hp to 195 kW/265 hp. It includes a 2-year warranty. . . . While it may not be the most ultra-masculine machine we’ve ever come across (especially in the color seen here), the 2016 Mini Convertible is being heralded as one of the greatest slices of “open driving excitement” money can buy when it goes on sale in March next year. It may not be the kind of car for guys with face tattoos and viking beards, but it sure as hell looks like a great option for their lady friends, who probably prefer something in this shade of aqua in order to better complement their eye shadow. . . . .
BMW says that the new MINI Convertible will launch in three engine variants including a 3-cylinder petrol engine with 100 kW/136 hp in the MINI Cooper Convertible, 4-cylinder petrol engine with 141 kW/192 hp in the MINI Cooper S Convertible, and 3-cylinder diesel engine with 85 kW/116 hp in the MINI Cooper D Convertible. The MINI Convertible will go on sale nationwide in March of next year, meaning it will most likely land as a 2017 model. At 3850mm on a 2495mm wheelbase, it’s 98mm longer than the model it replaces, and 44mm wider at 1727mm. 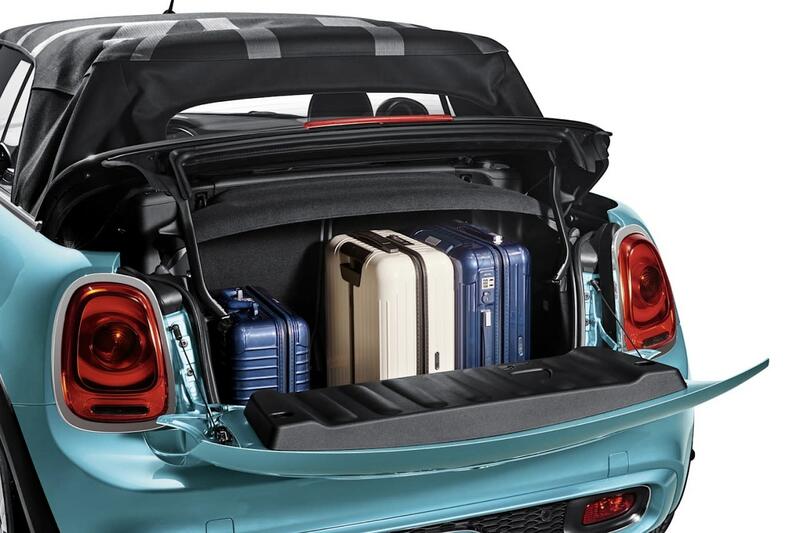 The boot of the new auto is around 25% larger than that of the outgoing MINI Convertible, at 215 litres when the roof is closed and 160 litres with it down. . . . .
Official Release: The global marketing campaign “Stay Open” is about to get underway in time for the start of communications for the new MINI Convertible. The campaign will accompany the new MINI Convertible up to market launch and beyond in three campaign phases that follow on from one other. The “Stay Open” tagline for the new MINI Convertible is as multi-faceted as its target audience and pays tribute to the “Always Open” campaign of its predecessor. On a rational level, it highlights new product features that enable the new MINI Convertible to drive with the top down for even longer. From an emotional perspective, it reflects the free spirit of the target group – always cosmopolitan and open-minded. Its life-affirming optimism is a consistent theme throughout all elements of the campaign. The print campaign takes this feeling and stages the new MINI Convertible in open spaces full of bright, vibrant colours. The feel of open-top driving is conveyed with lots of blue sky. The central element of the campaign will be an online film that goes far beyond the scope of regular TV commercials. The short cinematic film directed by Oscar-winner Joachim Back will be revealed in stages – initially previewed with a teaser and landing page to kick off the campaign. The film will be revealed in its entirety to coincide with the market launch of the new MINI Convertible. The participating agencies were WCRS, London; KKLD, Berlin; and AKQA, London. 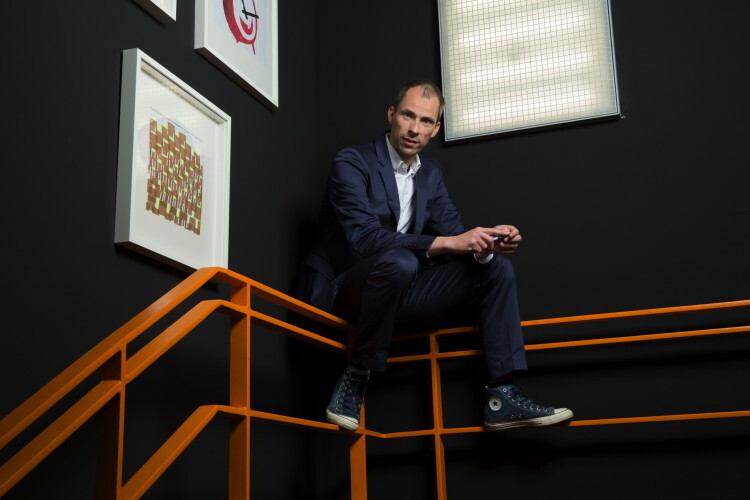 Serviceplan Campaign X will be responsible for adapting the international campaign for the German market. The German campaign for the new MINI Convertible will get underway in mid-February 2016 in time for the market launch on 5 March 2016. What is now an annual holiday tradition for MINI owners in the US, the MINI USA Gift Swap is back! MINI USA sends out gifts to random participants, as well. 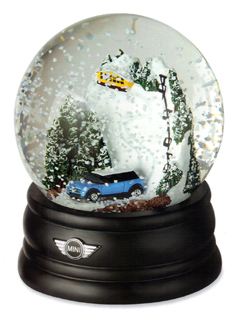 So unless you are Nigel and say “Bah!” to things Christmas-like, head to MINI USA and Sign up. 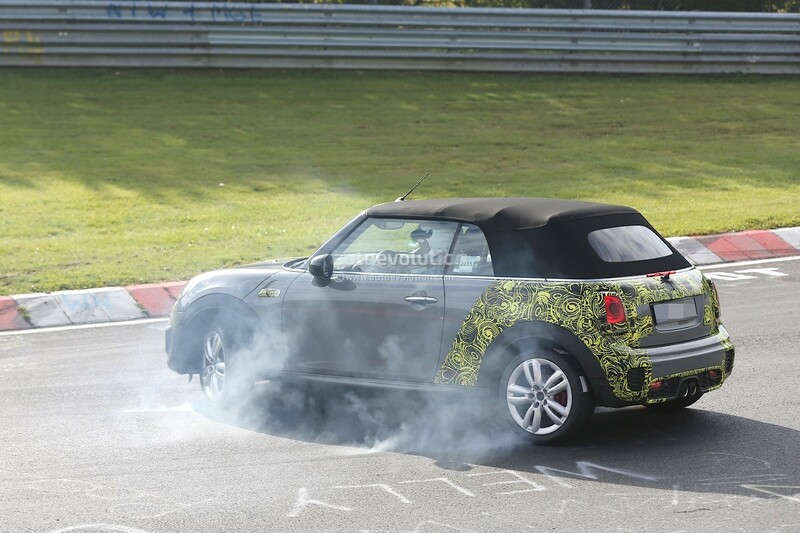 Spy photos posted at autoevolution show an "oops" moment while testing the new MINI Cabrio JCW on the track at Nurburgring. 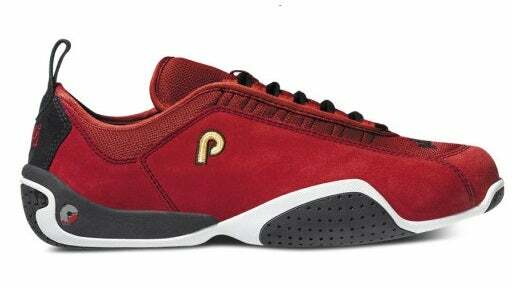 Oppositelock examines this question and reviews a variety of driving shoes.
. . . The recall affects MINI Cooper and Cooper S models built between 2002 and 2005. In the recall documents, MINI says that the power steering can fail because of “manufacturing or other” issues. In the event of a failure, manual steering would remain, but greater effort would be required to steer the car. The National Highway Traffic Safety Administration (NHTSA) began investigating the problem in 2010 after receiving hundreds of complaints, including a few minor crashes and three fires caused by melted wires. BMW first attempted to address the issues through its warranty program, by offering extended steering warranties, Last month the NHTSA demanded a recall. BMW agreed despite asserting that the problem wasn't an unreasonable safety risk. Dealers will replace power steering parts as needed starting in December. . . .
That is the view taken by U.K.'s autocar in its review of the 2016 MINI JCW equipped with a manual transmission. Bring a max. $25 gift if you want to join in on the gift exchange! Please no gift duds; this is not a White Elephant. We’ll be gathering donations for My Sister’s House, a Sacramento shelter for victims of domestic violence. Use The Paypal Button to get your tickets NOW!!! 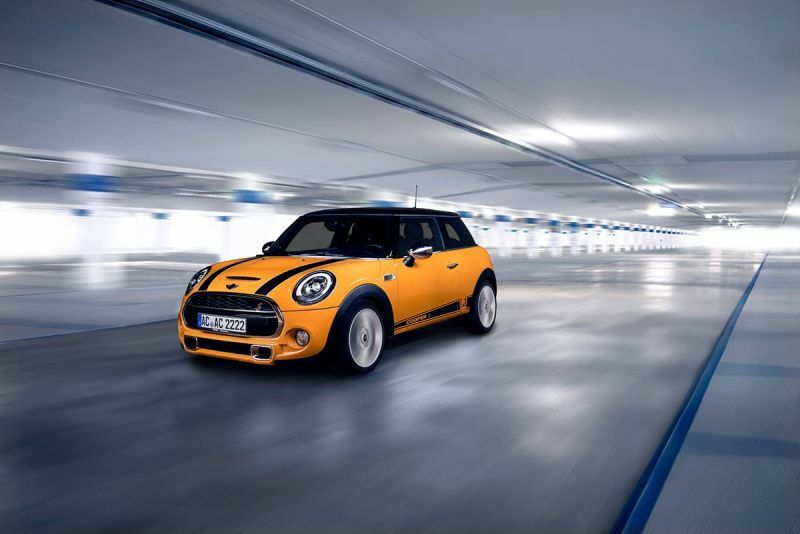 Check out this MINI pre-roll Ad campaign video for the MINI JCW. Can't wait for the next race! MINI John Cooper Works YouTube Race from Kinetic Singapore on Vimeo. MINI new Clubman is bigger and more practical than ever, but it's about to become hotter too. Our spy snappers have captured the racy Clubman John Cooper Works (JCW) edition before its likely debut at the 2016 Geneva Motor Show. The high performance Clubman will get running gear based on that in the new MINI JCW hatch, so the 189bhp 2.0-litre turbocharged petrol engine in the Clubman Cooper S will be bumped up to a heady 228bhp. Expect a 0-62mph time of around 6.5 seconds and a top speed of at least 150mph, but around 40mpg combined should also be possible. . . .
What car is the most overrepresented in each state? What model of car did, say, California buy far more often than any other state in the Union? In Maryland, the MINI Clubman sells at 383 percent of the national average.
. . . It feels well appointed and higher quality and more stylish than you’d have a right to expect . . .
. . . The X-raid Team entry for the Dakar will consist of four MINI ALL4 Racing crews. These crews are made up of highly skilled and professional drivers and co-drivers, all recognised as masters in the world of rally motorsport – and all readied to claim MINI its fifth Dakar title. . . . Beyond being just stylish, the MINI Cooper Hardtop puts out some excellent performance, fuel economy and safety. It’s pricier than many competitors, however – especially when you tack on all the options that make it a thrill to drive. I’d test drive the Mazda3 and Hyundai Veloster to be sure, but will bet the MINI’s seductive presence wins out. autoevolution covers the "Clubman inspired" set of new personal accessories.
. . . MINI is well represented by the B38A15A 1.5 liter three-cylinder which took the crown last year. The 2.0 liter B48 unit found in the MINI JCW and the new X1 is also present on the prestigious list. . . . Although it shares identical wheels and tyres with our long-termer, this manual JCW doesn't ride on the same two-position Variable Damper Control suspension. Which, for all their best of both worlds promise, have barely been switched out of comfort since we took delivery. Think of the Sport mode more of a track day setting. Mini says the alternative passive setup is stiffer again, but we found it surprisingly tolerable. Yes, it's firm, but there is decent compliance and the slightly more frenetic edge it brings seems to give the JCW a much-needed shot in the arm. Based on this experience, we'd happily deal with some extra rowdiness in return for the greater connection it brings. J.D. Power released its 2015 US Sales Satisfaction Index Study and MINI tops the Mass Market Brands category for the sixth consecutive year. . . .
Talk About Exclusivity: Only 150 MINI Carbon Editions For The U.S.
. . . 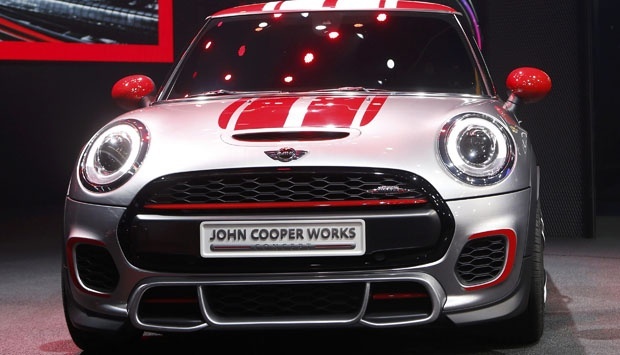 The Carbon Edition is a Hardtop Four-Door Cooper S. The model then layers on the John Cooper Works Pro Tuning Kit. The kit adds 208-horsepower to the Carbon Edition. The Carbon Mini is also equipped with an upgraded exhaust. . . .
. . . Look for the ALL4 Clubman to officially debut this winter with production beginning in March at the Oxford Plant. The highly anticipated JCW Clubman ALL4 will begin production in November. . . .
BMWBlog offers this interview with Warming about the new Clubman and the direction of MINI Design. Tempo.co reports MINI Indonesia will introduce a special edition, the MINI Cooper S Countryman Knightsbridge. Pros: Surprisingly gutsy three-cylinder engine; quick-shifting transmission; responsive steering; plenty of room for taller drivers; much-improved interior layout; free scheduled maintenance. Cons: Seldom delivers EPA fuel economy estimates; choppy ride on the highway; minimal interior storage space; required several trips to the dealer to resolve multiple recalls. Bottom Line: Even with its slightly larger size, this is still very much a Mini. It's responsive, surprisingly quick and has a unique style inside and out that none of its competitors can match. Less than advertised fuel economy and some questionable ergonomics are the biggest drawbacks to this otherwise well-rounded package. As its predecessor, the all-new MINI Clubman should be offered with a high-performance John Cooper Works variant. This means the longest production MINI ever made will get the same engine from the JCW Hatch: a 2.0-liter turborcharged four-cylinder rated at 231PS (228hp) and 320Nm (236lb-ft) of torque. Given that the Clubman is heavier, it will probably need more than 6.1 seconds to go from 0 to 100 km/h (62 mph). autoevolution claims this makes JCW just a trim-level. Yahoo! Autos has the full gallery of official 2016 MINI Convertible photos in an easy to use gallery.
. . . At this point you’re probably wondering, again, why the Clubman exists, and no this is not a line reprinting error. The chief points are that it’s larger, has more space and 360 to 1,250-litres of luggage room with practical 40/20/40 split folding seats. That’s considerably larger than the 278 to 941-litres of the five-door Mini hatchback. . . .
. . . is all about raising awareness and funds for a raft of key men’s health issues, namely prostate and testicular cancer, mental health and physical inactivity. . . .
. . . The luggage volume is up roughly 25 percent, to 7.6 cubic feet with the Convertible top up – 5.7 when it’s down. At launch, the 2016 Mini Convertible will be available in Cooper and Cooper S models. This is the 2016 MINI Cooper Convertible, showcasing larger dimensions, a fresh design in tune with the regular Cooper hatch, and a new soft-top electric-folding roof. It will sprint to 60 miles per hour from rest in 6.7 seconds when equipped with the automatic (6.8 seconds with the manual) and reach a top speed just over 140 miles per hour. . . . In so many ways the Clubman is what the market has been asking for. It’s a MINI with four doors, five seats and a trunk that is entirely usable for a small family. 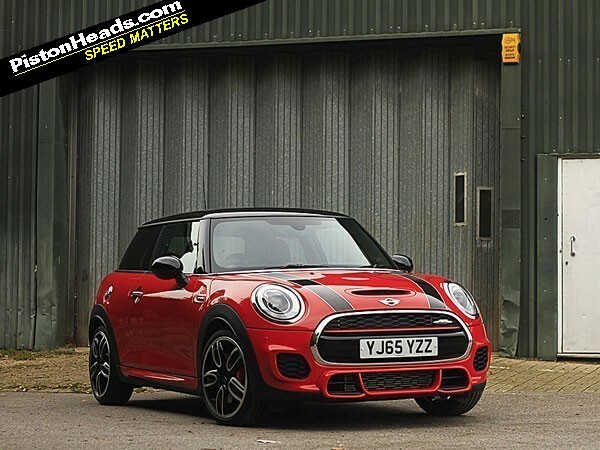 It’s also a handsome car with the highest levels of quality we’ve ever seen in a MINI. You don’t have to make apologies for rattles or an odd angle or two. This is a MINI that’s easy to live with as much as it is easy to love.
. . . The Carbon Edition takes the 191 hp Cooper S and adds the new John Cooper Works Pro Tuning Kit with the JCW Pro exhaust system and high-grade carbon fiber accessories. The result is a menacing looking four door MINI with 208 hp and a serious exhaust note. . . . When I spoke later with Peter Schwarzenbauer, board member of BMW AG and responsible for Mini, he said that Mini is shifting more up-market. This was after I made a remark about the new colors of the test cars. Why were there no flashy yellow, bright blue, orange or red vehicles available? Mr. Schwarzenbauer pointed out that with moving into the premium part of the segment, the targeted customers may be less expressive. U.K.'s love:mini reports, on the "ADAC Customer Barometer," MINI ranked first in the small car class.
. . . Earlier today I was behind the wheel of a well cared for and well specced 2006 R53 Cooper S. I was blown away. It wasn’t perfect. And the F56 JCW I was driving before and after it destroyed it in every measurable way. But by God it was alive. . . . It comes as little surprise, but mating a manual gearbox to such an excitable and energetic hot hatch immediately makes the JCW a more appealing proposition. Small sacrifices have to be made in running costs, but the immediate cost saving of £1,330 over the auto and greater connection with the car it provides makes it a no-brainer if a JCW is on your wish list. But it’s also worth noting rivals, namely the lesser-powered Ford Fiesta ST, offers as much fun for a fraction of the cost. 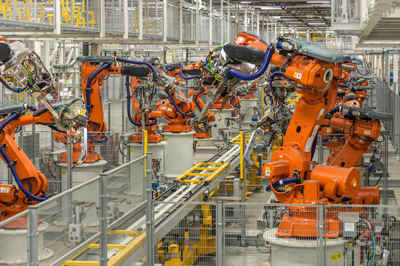 The future of the automotive industry will be decided in the fields of vehicle connectivity and autonomous driving. Digitalization is transforming our entire business model – from customer touch points to mobility concepts and services, as well as to digitally-supported production. We want our customers to be able to make full use of their smartphone’s features in the car as well. Thus, we are going to integrate Apple’s ‘CarPlay’ and Google’s ‘Android Auto’ into our vehicles. Obviously, it is not in the interest of our customers to give third-party providers access to their data. For us, the protection of our customers’ data is top priority. The digitalization of mobility offers an exciting potential for growth in our industry. Over the past decades, the car has become a highly complex technological machine. So, whether you want to offer mobility “Made in Silicon Valley” or “Made in Bavaria” – the same regulatory requirements and challenges apply to everybody. The VDL Nedcar factory in Born will begin production of the new Mini convertible next month, news agency ANP says on Friday. The Mini convertible is the second car to be made in Born since the factory relaunched after Mitsubishi pulled out in 2012. The plant also produces Mini’s 3-door hatchbacks. . . . The Clubman is only the beginning of MINI’s push into more premium territory - and we have every reason to believe it will succeed. 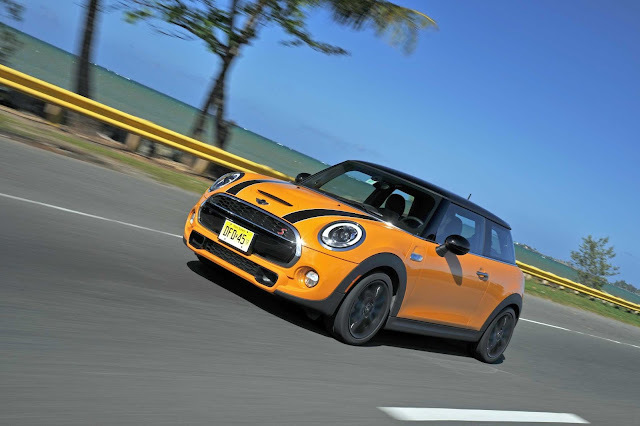 It’s comfortable, quirky and still has that degree of excitement that makes MINIs such a hit. The looks won’t be to everyone’s taste but standing out has never played such a significant role. Up against humdrum hatchbacks, we’d say the Clubman’s unique character could give it the upper hand.
. . . Frankly, we’re baffled at the sales drop. Prior to this month, 2015 was looking to be a very good year. . . . .
2015 MINI John Cooper Works "One Of The Best Driving Cars"
Pricing starts at $33,240, further proof that this is an attainable mini super car. The old MINI Clubman was a nice idea; now, it’s a nice car, and a very nice alternative for those bored by Focus and Golfs. Within minutes of speaking to him, MINI’s product manager was drawing comparisons with the Mercedes-Benz A-Class. After spending a day with it, we understood why. It’s roomy, sophisticated and practical inside, makes good use of BMW tech (engines, infotainment) but still feels like a fun MINI to drive – without making everyone else suffer for the driver’s enjoyment. It still looks like a Clubman, so will still be love it or hate it, and that’s exactly what MINI wants. That’s the MINI-ness: you get it or you don’t. But now it’s grown up and focused on what it wants to be, and does it well, we feel many more people than before will indeed get it. Two pepper white MINI Coopers served as the perfect canvas as artists collaborated during Asia Pop Comic Con in Pasay back in September. The cars are now on display in a MINI showroom in Bonifacio Global City. Band of Doodlers (website), a group of artists in Singapore, teamed up with Doodle Art Enthusiasts to create the designs. You can check out their full album here. . . .